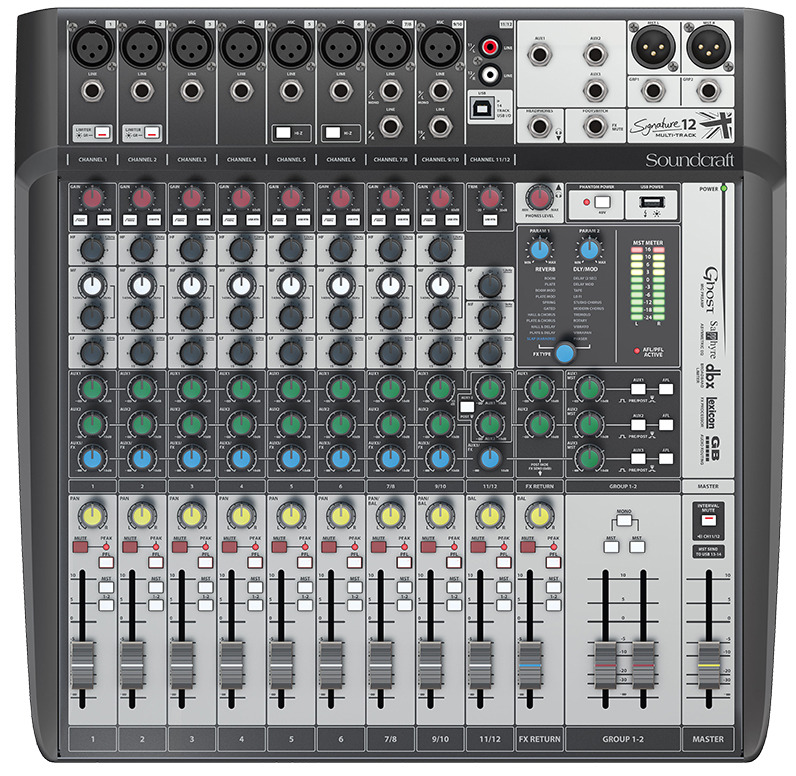 The Soundcraft Signature 12MTK incorporate Soundcraft’s iconic Ghost mic preamps, directly drawn from the company’s top-of-the-line professional consoles, to deliver extraordinary audio quality with high headroom, wide dynamic range and exceptional resolution and clarity with a superb signal to noise ratio. 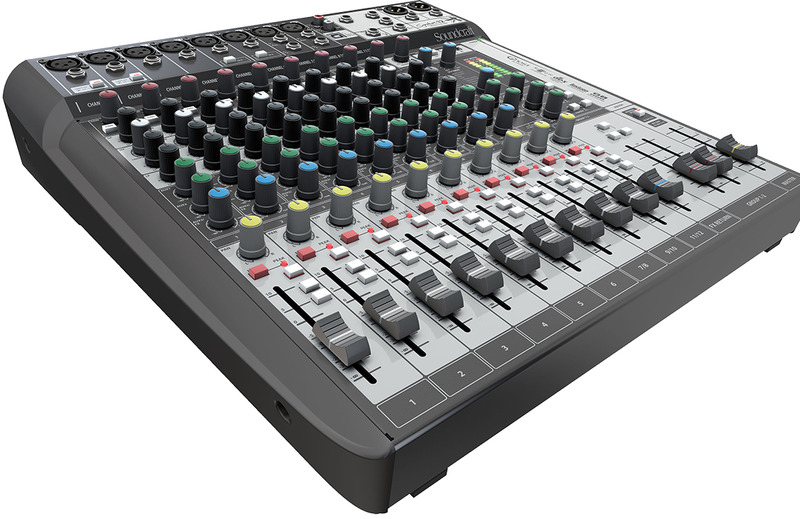 They employ Soundcraft’s Sapphyre Assymetric EQ for perfectly equalizing every vocal and instrumental element in a mix with the unmistakable musicality inherent in every Soundcraft console, plus the GB Series audio routing technology famous in thousands of live venues worldwide. It includes a wide variety of built-in Lexicon studio-grade reverb, chorus, modulation and other effects and dbx limiters on the input channels. In addition, the console’s multi-track USB audio interface allows any VST/AU/AAX/TDM/RTAS plug-ins to be inserted on any input channel, enabling studio plug-ins to be seamlessly integrated with live performances. Accompanying the consoles are free downloads of the Lexicon MPX-L native plug-in and Ableton Live 9 Lite. 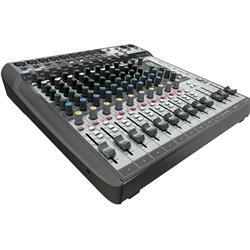 The Soundcraft Signature 12MTK features smooth, premium-quality faders with GB® Series audio routing with flexible pre/post switching on each Aux, and subgroups with powerful routing and switching options as well as dedicated outputs.